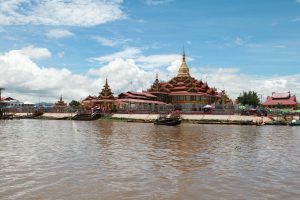 The Alodaw Pauk Pagoda, one of the 84.000 pagodas built by the famous king Thiri Dhamma Thawka, is a famous spot in Inle Lake. 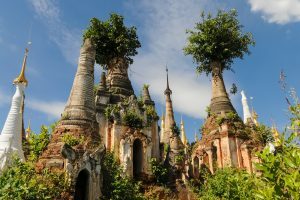 When King Anawrahta arrived in Inle Lake, he saw the only thing left was the original foot of the Pagoda. He decided to rebuild it and change the name into Yadana Pagoda before assuming its current name. The Alodaw Pauk Pagoda has been renovated by successive kings and so appears resplendent today. 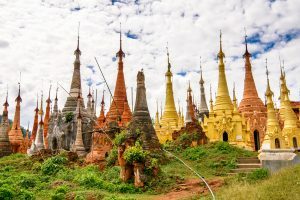 It is home to the gem-encrusted Shan-style Buddha stupa. Location: Nampan Village, Nyaung Shwe Township.